Starlight1004 Feb 08 2019 11:51 am I love her since I watched Yong Pal. Her acting is briliant. Hope to see her in another drama as a female lead! Layanne Daviova Jan 20 2019 10:10 pm She is godess.and her acting as is pretty cool. angel honey Jan 09 2019 6:30 am she is a great actress in last empress!! I love her so much!! No wonder she so good in english when she speak!!! Love u unnie!! Keep it up!! hope u reading this ???? Mina Jul 06 2018 2:39 am Bold and beautiful. I want her in action, thriller dramas. Fist fights or speech fight both is okay with me. Give her a chance to shine. Cris May 17 2018 11:21 pm Give this girl some badass role! Caitlin B May 30 2016 3:06 am I'm basically in love with her character from Schoolgirl Detectives. Annyeonghaseyo , I from Malaysia and my name is Lenna Hernah . I really like the way you're acting in young pal drama . Because all of which caught my attention . How you act , the way you're dressed in style , manner of speaking and the most important ways the body makeup . tmishael Nov 03 2015 6:18 am Hi Miss. Nice work in Yong Pal. The moment I heard you speak English...my interest was piqued. "Shin-thia"...lol.. I hope to see more of you in future kdramas. I like the fact that you seem bubbly as your instagram account shows. I admire Kdrama stars that act well but even are better as real persons. Hope to meet you someday as well as Moon JunWon and Lee Min Ho, especially Joo Won ssi, if not in this life, then the next...lol. Stay healthy and God bless. Mem Oct 05 2015 11:42 am Scene stealer in Yong Pal!! Hope to see more of her in dramaland! Mehmeh Sep 28 2015 5:55 am She's really pretty! No wonder she's good in english...and the stunts,,,,perfect! 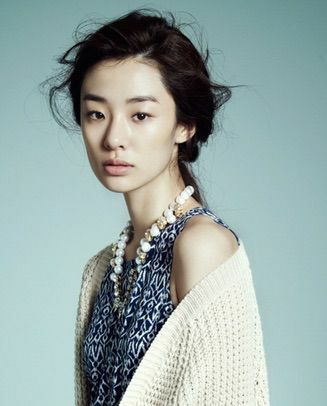 Hope to see her more in the future korean dramas...chukahae! lavieenrose Sep 24 2015 11:23 am You're quite tall, beautiful & elegant. It's too bad that your role ended so soon in Yong-Pal. Wished you'd lasted a bit longer so I was able to adore your acting. Hope to see you more in the future. Good luck! igmyeong Sep 08 2015 10:16 pm I really feel that she is a model~ She is indeed charismatic. Sam Sep 03 2015 2:11 am You were very cool in Yong-Pal.To be honest, I much prefer you to be the lead male's partner than Kim Tae Hee.You and Joo Won look good together and your chemistry is naturally there. Churay Aug 26 2015 11:05 pm Too bad, you've finished filming up for Yong Pal! You were amazing! CT. sya Aug 23 2015 2:17 am Oh my god... can't believe she's too young.. she just older than me about 3 years.. Hahaha.. I love her acting in Yong Pal. Shirley Aug 14 2015 11:29 pm She is so gorgeous and attractive in yong pal. Impressed by her acting as she actually outshines others. Keep it up. MaiaLou Aug 13 2015 1:21 pm is she a relative of Phillip Lee? jumper Aug 13 2015 2:55 am I really like her acting on Yong Pal. she is getting better than in Seonam. Another rising star. keep up the good work! cheering you a lot in Yong Pal. and your height and dimple just make me envy. Eunmi Aug 06 2015 4:56 pm @bronnnnnziol she reminds me of Fala Chen (Hong Kong actress)! Maria Feb 13 2015 6:52 am Ain't she from the mv of 2pm come back when you hear this song!!??? ?